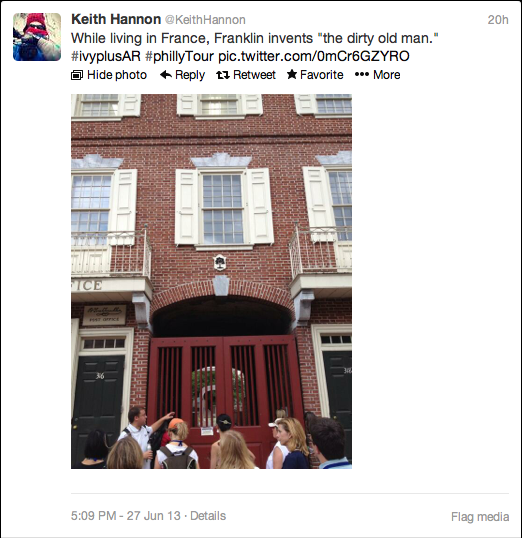 During the Ivy+ AR conference last week, there were many wonderful Tweets about events, campus, and social activities. 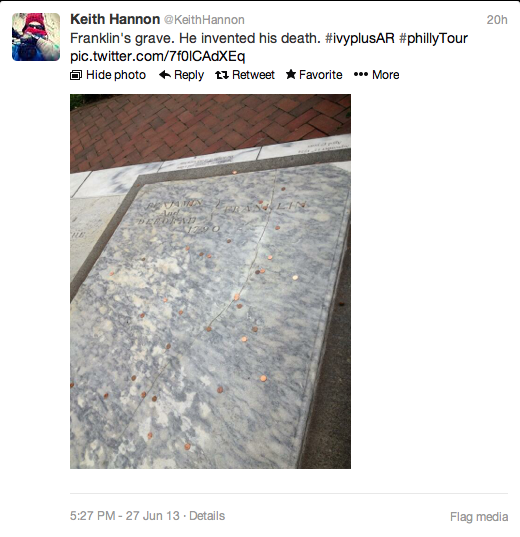 One Twitter user from Cornell University, Keith Hannon, was very creative with his spin on Philadelphia History and Benjamin Franklin. 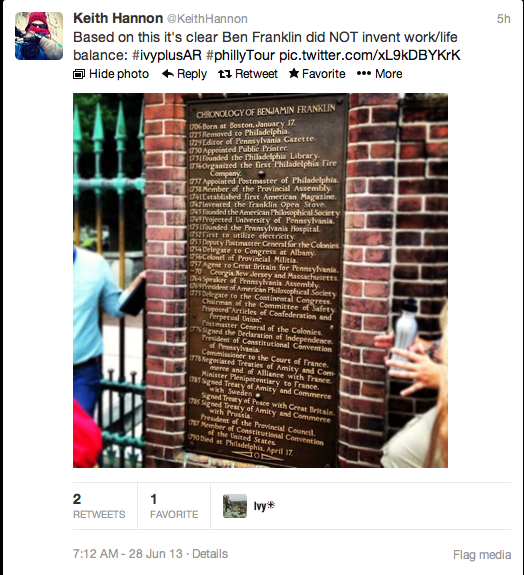 Here is a sample of his creative Tweets. Other great participants on social media were Jennifer Cunningham (also from Cornell), Christine Tempesta (from MIT), and our active internal Penn staff, Casey Ryan and Kiera Reilly. To see more social activity from the conference, check out the Storify created after the event. Or search the hashtag #ivyplusar on Twitter and Instagram.